First and foremost, the Terms and Conditions governing every promotional package are located at the bottom of each resort offering page and are easy to read and understand. In addition, the Terms and Conditions are reviewed with the customer during every sales call, and must be agreed to in writing by every customer in order to finalize the reservation and have dates sent to the participating resort provider. The Terms and Conditions contain the definition of “couple” and the requirements for proof of same. Our special promotional packages are sponsored by the resorts and the rooms are discounted up to 77% because the resort is subsidizing the room in exchange for your time during the resort preview. The time and date of each presentation is contained within the resort confirmation of the reservation – which is issued prior to the guest’s scheduled check-in date. Your reservation is booked under a “cohabitating” status – and as stated in the Terms and Conditions governing the vacation package, the resort requires proof of same, such as government-issued photo i.d.’s with matching addresses and/or a lease agreement. As you were advised 3 days prior to filing your review, the resort agreed to accept a utility bill (and your i.d.’s with matching addresses) as proof of cohabitation in your case and BookVIP has been waiting to receive your email attaching copies of your proof of cohabitation in order to send it to the resort. 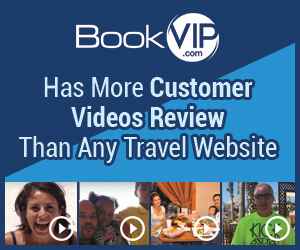 BookVIP also offers a 7-day period of time before the vacation package becomes final and non-refundable to enable the customer time to review the Terms and Conditions in an attempt to avoid any misunderstanding of same. On the actual site it says "per couple" which normally means two people. Normally "couple" doesn't mean having to be married or living common-law, it's two people. No where on this site does it define "couple." So, when I booked I was told I would receive something from the resort. I never did. When speaking to an agent through BookVIP they asked what my partner did, his work, etc. I told them. Just recently found out the resort wants proof of living together two pieces. I own the house, own it for ten years, dating this man for almost four years. In no way, shape or form will I put any type of attachment of my partner's name to this house! I tried to get my money back, they said I can't, which is not right. Find out this presentation that's suppose to be 90 - 120 minutes is about buying some sort of real estate properties...no where in their website do they stay what it's about, which is the catch for the low prices. Someone I knew went, they didn't want to purchase the real estate, and they were treated like dirt, that's wrong. Also with the common-law status, so what happens if the couple breaks up in the mean time? We are paying for a vacation we can't even do? That's wrong. I'm suppose to leave April 04 and still fighting with this...wish I could just get my money back and say the heck with it. One: the website should define "couple"
Two: the website should state WHAT the presentation is about. Three: you can't really plan anything because you really don't know which days this presentation is going to be because they can't give you an exact day just a day or two into your stay which a stay could be three to five days. Four: BookVIP doesn't like to send anything in an email, and the resort never sent anything stating what's expected. I happen to like things in writing. Five: BookVIP says press the # key and they will call you back...didn't work for me. I had to stay on the line anywhere from 30 - 45 minutes before someone answered. All I want is my money back. Never again will I book with them. I didn't like: To get a refund is a fight, Poor customer service, Lie to get people to book. Review #803798 is a subjective opinion of Shirley2016.